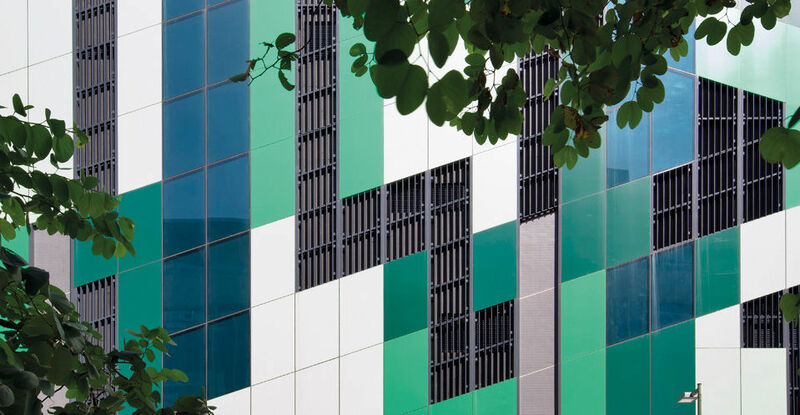 This Data Centre is located at the Tseung Kwan O industrial estate, east of Hong Kong, and it is the first Data Centre outside of China for the leading telecommunications company. 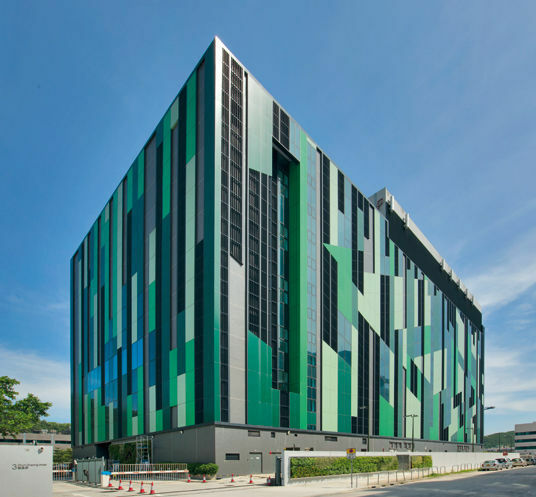 The cube-shaped building is clad with a multi-colored aluminum composite sheet cladding with individual windows and ribbon windows. Slanted joints of the sheets and also partly of the glass units lead to a high variety of different sheet and glass types which required a high degree of fabrication and installation precision. 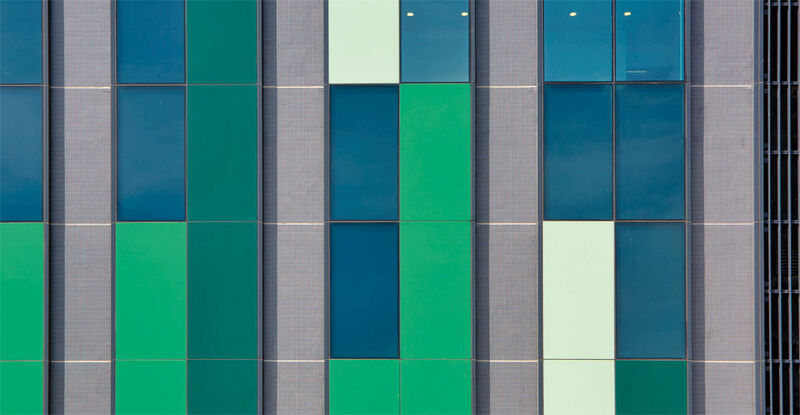 In addition, to reduce the energy bill of the building, it is also clad with double insulated glazing with low-e coating and colored glass panes on the inside. 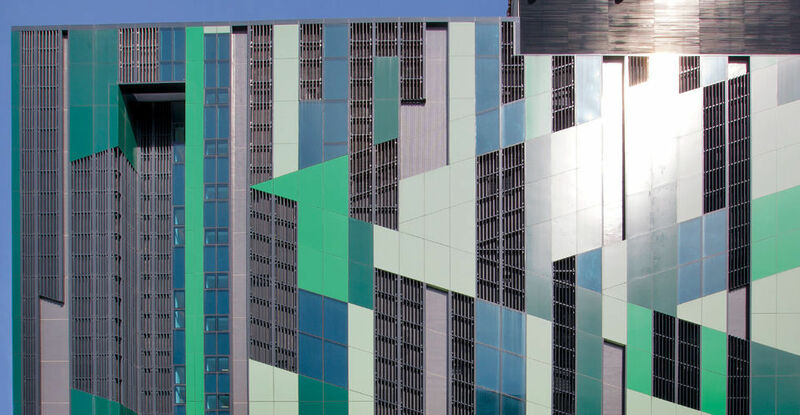 On the 11,400 sqm (122,700 sq ft) total façade area the proportion of sheet cladding outweighs the glass areas. 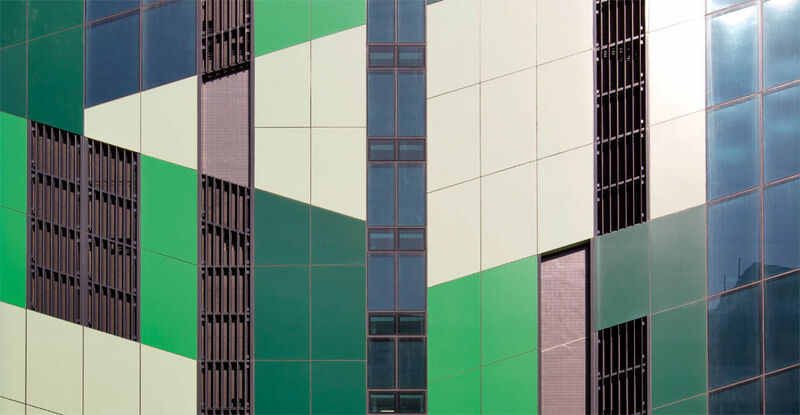 1,800 sqm (19,400 sq ft) of aluminum louvre façade, 4,600 sqm (49,500 sq ft) of composite aluminum sheet cladding, 2,200 sqm (23,700 sq ft) of insulated glazing units, 500 sqm (5,400 sq ft) of louvre façade in the roof area.